A recent study published late 2018 confirms an earlier Health Impact News article that macular degeneration, a disease mainstream medicine considers irreversible, can be prevented, attenuated, and even reversed naturally. The natural ingredient this study tested was coconut oil. This study was conducted by Nigeria’s University of Ilorin’s Department of Physiology. The final report, titled Coconut oil protects against light-induced retina degeneration in male Wistar rats was published by the journal Pathophysiology. Retina degeneration causes macular degeneration (MD), a major source of blindness characterized by a loss of direct frontal vision while retaining only some semblance of peripheral vision. The photoreceptors and retinal pigmented epithelium are the parts of the retina that are most susceptible to visible light. Injury to these parts plays a crucial role in the pathogenesis of retinal degenerative diseases such as AMD are the parts of the retina that are most susceptible to visible light. The researchers noted that there have been several studies analyzing the properties of coconut oil’s main ingredients, which the researchers referred to throughout the abstract and study text as Cocos nucifera oil (CNO). The researchers also mentioned that prior studies indicating CNO’s antioxidant and anti-apoptosis qualities could help prevent macular degeneration, but they were mostly in vitro (lab culture) studies. This current study is a rare solid animal (in vivo) study. 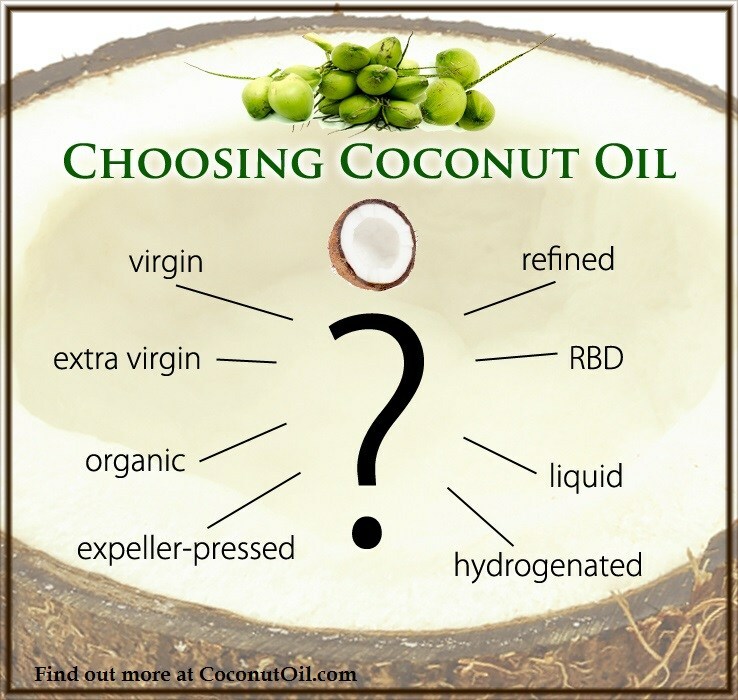 This article’s study summary will mirror that study’s nomenclature choice, using CNO (Cocos nucifera oil) instead of coconut oil while covering the study report. Pure CNO (virgin coconut oil) is made up of 50% lauric acid, its most effective constituent. Beneficial fatty acids such as palmitic, oleic, linoleic, caproic, and caprylic acids. Several phenolic compounds all proven to exert antioxidant activity. The research literature showed evidence of CNO’s neuroprotective aspects. Twenty male Wistar rats weighing 140 to 180 grams were divided into four groups of five. CNO was administered orally by cannulas, ie, lab animal feeding needles. (1) The control group (CG) was not subjected to intense white light and was not given CNO. (2) A light model group (LMG) was subjected to intense white light but treated only with distilled water. (3) This was a low Cocos nucifera oil (LCNO) group. They were exposed to 5,000 lux of white light for two hours and received 5 ml/kg of CNO. (4) The high Cocos nucifera oil (HCNO) group was treated with the highest level of CNO. They were exposed to 5,000 lux of white light for two hours and received 10 ml/kg of CNO. To get an idea of the intensity of 5,000 lux used to induce retinal damage, a standard flashlight emits 125 lux of light. The researchers chose light-induced retinal damage over chemically-induced to replicate most real-life retinal damage over time. The animals fed CNO were fed lower and higher amounts during the entire 21 days, but their intense two hour light exposure with chemically dilated pupils started on day 14. Otherwise, their environment consisted 12 hours of normal light with 12 hours of darkness. The following schematic diagram is an overview of the study obtained from the study’s full text. After euthanasia, the animals’ eyes were carefully analyzed biochemically in addition to examining the eye tissues microscopically. Biochemical assays showed that CNO treatments improved antioxidant defense while decreasing caspase activity from complex enzymes to determine apoptosis (programmed cell death) necessity and initiation. Less caspase activity means more healthy cells are remaining and functioning because there are less damaged cells requiring caspase enzymes to initiate apoptosis. Comparing the retinal thickness of each animal group against the control group (CG), which was not blasted with intense light, the researchers discovered that the LCNO group fed 5ml/kg of the oil had less retinal damage than the LMG group subjected to intense light sessions and but not treated with NCO. However, the group receiving the highest amount of CNO (coconut oil) at 10 ml/kg compared most favorably with the control group’s undamaged retinas. There was no significant difference in retinal thickness between those two groups. 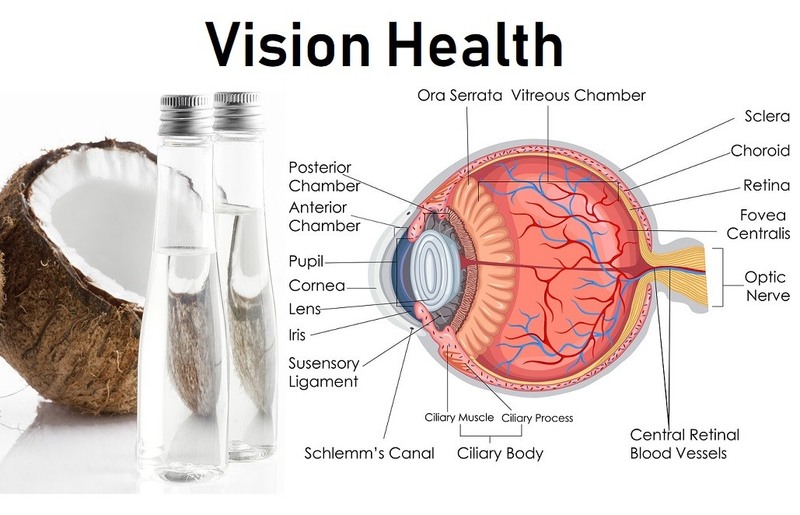 This research has shown that Cocos nucifera oil at a dose of 10 ml/kg of body weight can offer protection to retinal photoreceptor cells and histological integrity of the retina. This protective function is probably caused by the ability of Cocos nucifera oil to offer antioxidative protection and by inhibiting retinal cell apoptosis. Further investigations are required to detect the active compounds responsible for the probable anti-apoptotic action of CNO. 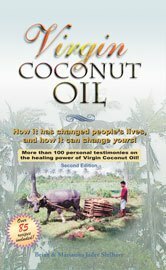 Many coconut oil studies demonstrating virgin coconut oil’s ability to resist and/or reverse many of our serious modern ailments put the daily dosage of coconut oil at two to four tablespoons daily. Some serious conditions may require more with certain individuals. Be aware, however, that most people cannot immediately tolerate large amounts of fat in their diet, and that it is best to start out slowly and work one’s way up to higher amounts, preferably taking coconut oil with high-fiber food. For example, many people like to mix it in with a hot bowl of rolled or steal-cut oats.